Wrinkles aren’t the only sign of aging- facial veins, rosacea, and other vascular conditions can also make you look older. However, you can reverse these unwanted signs of aging with gentle intense pulsed light technology! 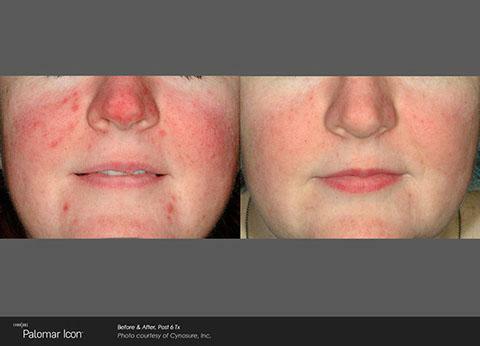 IPL facial redness treatments only last about 30 minutes. Depending on the patient’s skin type, multiple sessions may be recommended to achieve the best results. 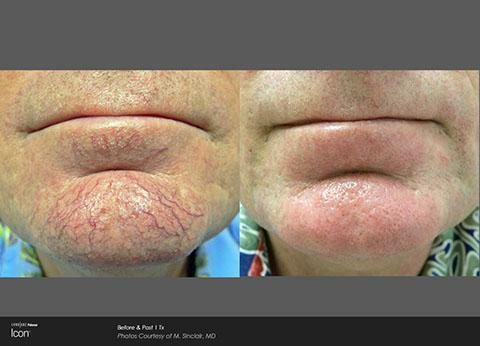 Most people do not find IPL treatments uncomfortable and anesthetic is not usually needed. Many patients are able to resume their normal activities immediately following the procedure without anyone realizing they had an aesthetic treatment. 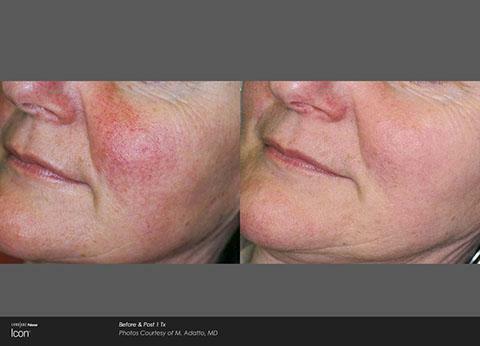 You can look younger with Icon photofacial treatments! Contact Le Santé du Miroir Laserplasty today to schedule a consultation.